Clover® Mobile allows merchants to accept payments anywhere they go. It is ideal for food trucks, festivals, trade shows, pay-at-the-table restaurants or anywhere else where both fast and easy payment solutions are required to avoid long consumer lineups. Designed for fast, secure and reliable transactions with each swipe, dip or tap. Available as Wi-Fi only or Wi-Fi and 3G (if you have a data plan). 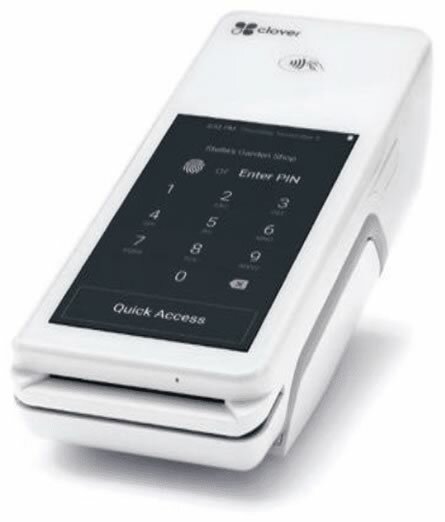 The Clover® Mini is lightweight, portable and compact payment processing device that uses minimal countertop space and allows the merchant to accept all forms of payment. Enjoy the features of a standard payment processing terminal but with additional features which include the ability to ring up orders, charge taxes, apply discounts, create Items as well as manage customers. Large 7", bright touch screen7", 1280px x 800px. Prints customers' receipts directly from the device. Highest level of security standards including end-to-end encryption, data tokenization, and hardware. Accepts all payment types including EMV chips, NFC payments such as Apple pay and has the capability to integrate with POS software. H: 6.47", W: 8.0", D: 3.73"
"Level 3" payment certified to payment processors and gateway. 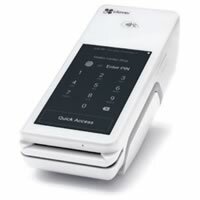 Connect your POS to Clover® Mini/Mobile using USB, LAN (Ethernet or WiFi) or Cloud. Integrate quickly using platform specific libraries (Windows SDK, JS SDK, Android SDK). 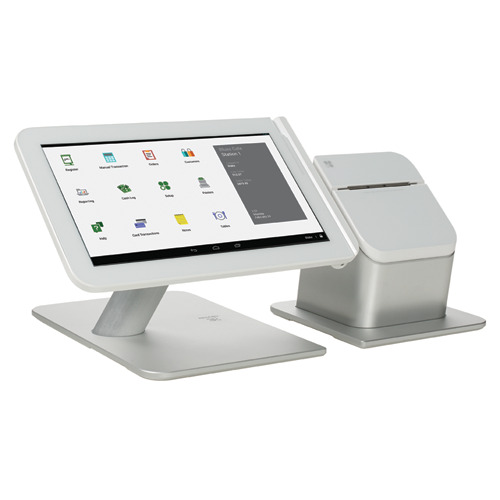 The Clover® Station is Clover®'s ultimate countertop POS system, featuring a large, bright 11.6" touch screen and the ability to accept all payment types. It contains an expansive set of user-friendly features including the ability to track inventory, manage time sheets, run reports as well as print from its connectivity hub. 4 USB ports, allowing you to connect all your POS components. Ethernet, wireless and Bluetooth connectivity options. 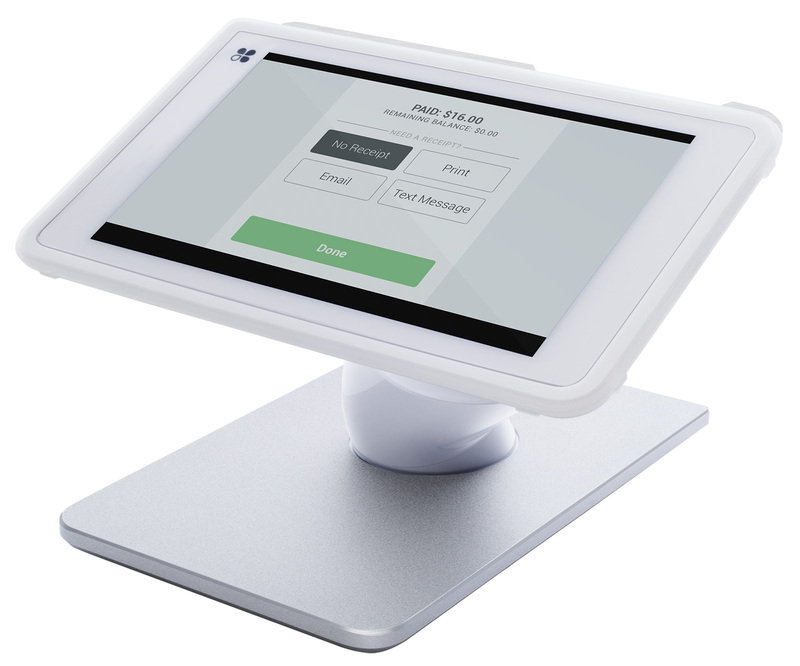 Base plate: 11.0" x 7.5" - Maximum height from countertop to display top: 9"
The Clover Flex offers merchants ultimate flexibility for their payment and point of sale needs. It can be used in line, at the table, at the counter or on the go. It comes with a built-in printer, a camera and QR scanner. The Clover Flex fits comfortably in your hand for portability and can be handed to a customer to dip, swipe, tap, sign or enter a PIN. Like all Clover devices, the Clover Flex accepts all payment types, including EMV and NFC. It can be used alone or seamlessly integrated with all other Clover Family products for a more connected commerce experience. Counter- top or handheld. 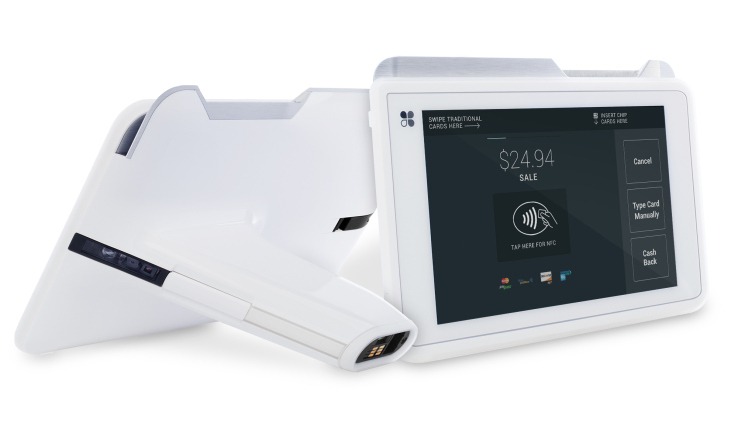 Designed to sit comfortably next to your POS/register or as a handheld, it allows you to do business, take orders, manage inventory, and accept payments both at the counter and on the sales floor. Line-busting. Speed things up by taking orders, confirming inventory, and accepting payments while your customers wait in line. Service customers at the table. No need to run back and forth to process a card, print the receipt, get customer signature, and tip adjust. Instead, your customer signs and tips, seamlessly, on the device at the table. On the road. Because it’s wireless, Clover Flex lets you do business wherever the job takes you. Inventory management. Scan items into you inventory from the stockroom or in the aisle. All other trademarks, service marks and trade names referenced in this material are property of their respective owners.